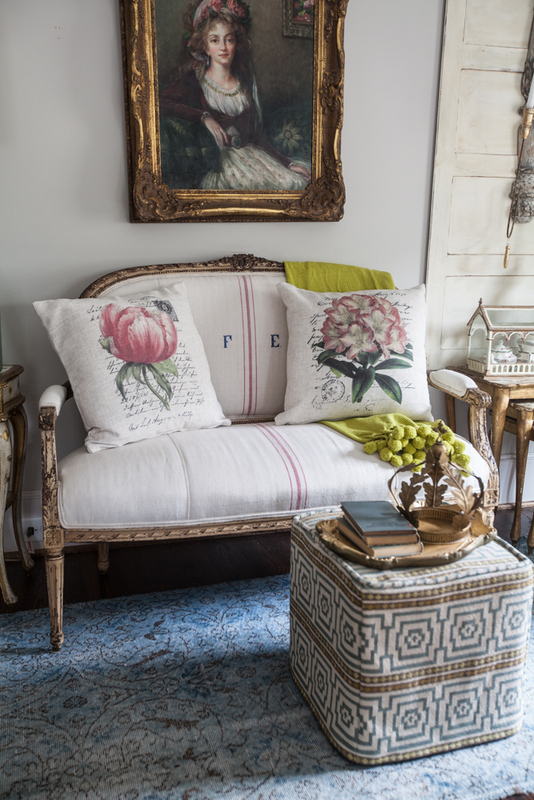 It’s Friday so it’s time for my Farmhouse French Friday Tip. I think this should have been my first tip. 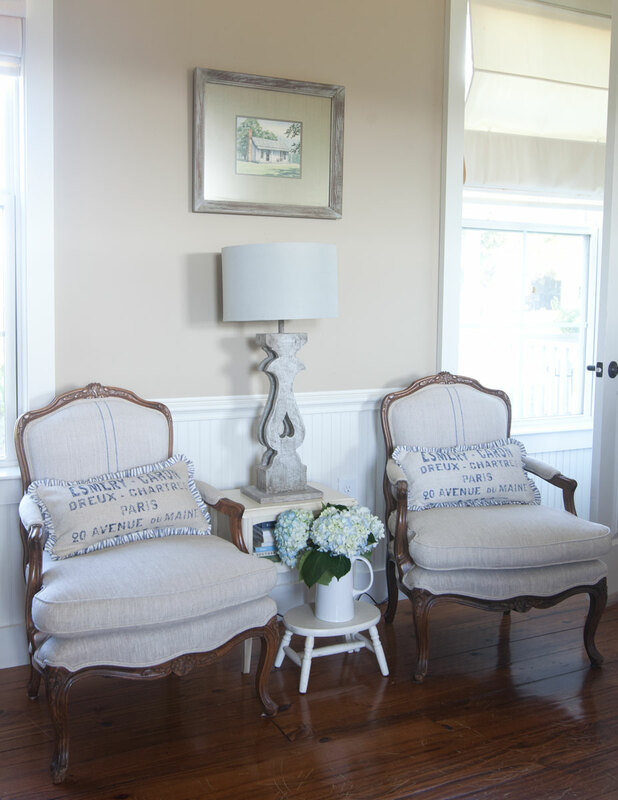 Grainsacks add a farmhouse French feel to any room, even a porch. I use them for upholstry (shown above) and for pillows shown below. I even used one as a table runner on the table. 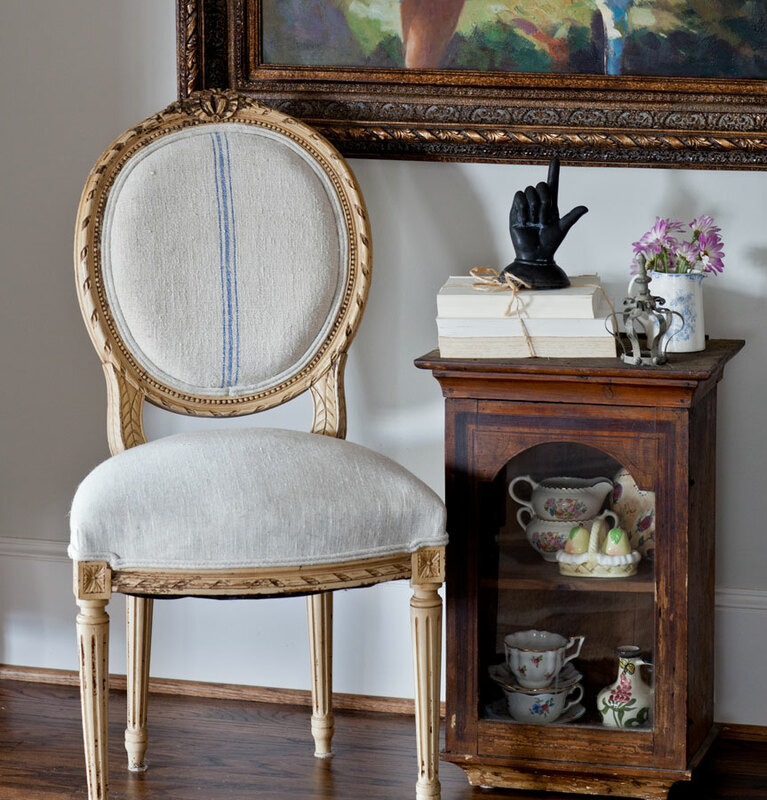 Here I used the grainsack for the back of the chair and matching linen for the seat. Same thing again with the chairs below. Of course the easiest thing to do is to just fill a grainsack with a king size pillow or a body pillow, which is a bit longer. I even used a grainsack for the fireplace screen shown below. 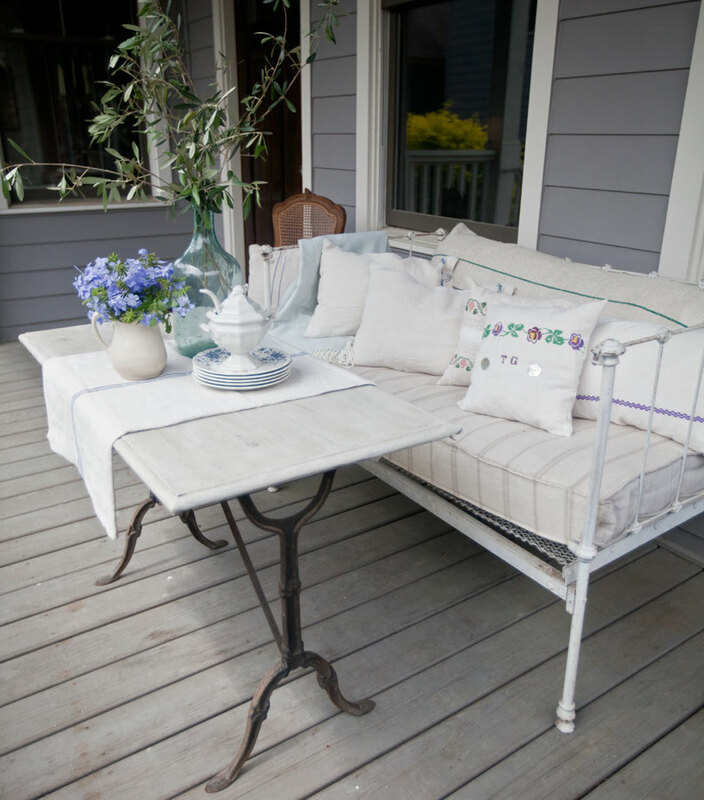 Although technically not grainsack material, I have vintage linen fabric like shown below that works great as a table topper. Grainsacks are not always blue. 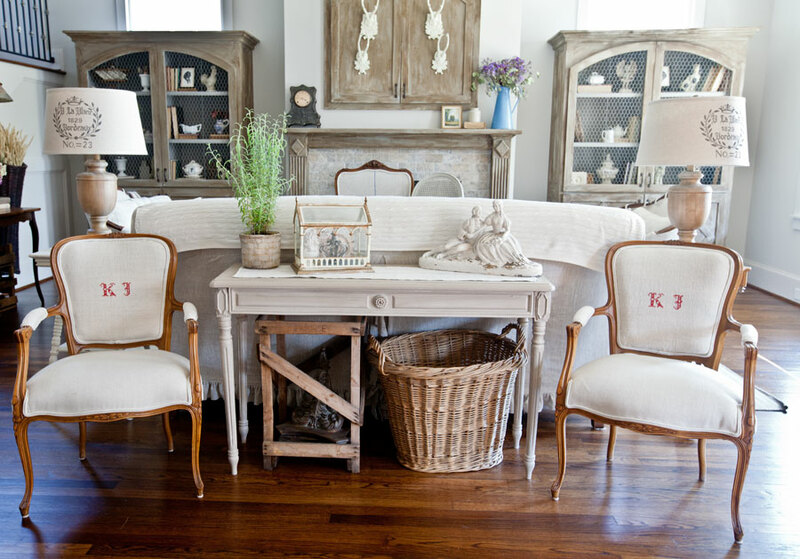 I used grainsacks with KJ initial for the chairs below. 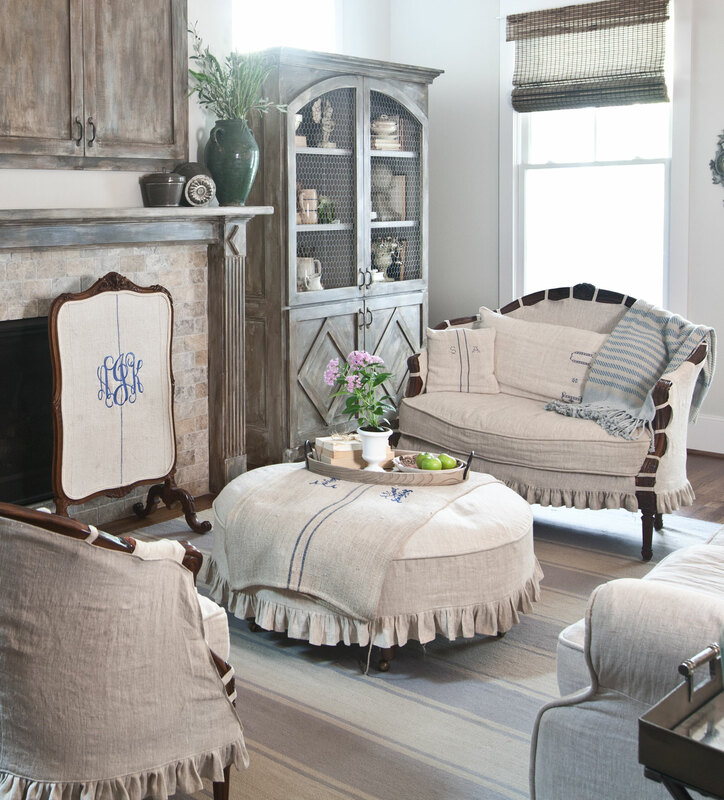 The blue stripe pillows below were made from grainsacks. 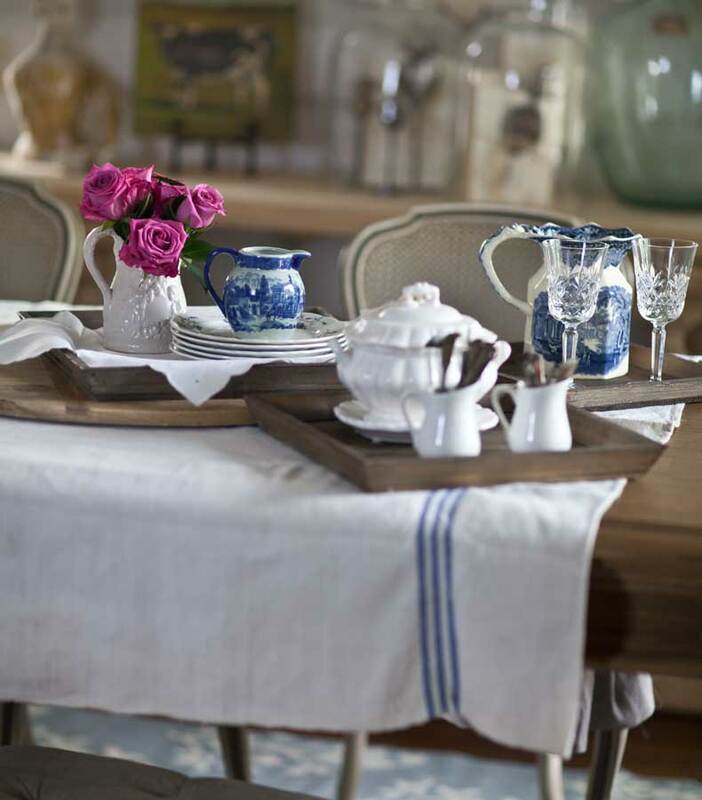 And the table topper below is again not a grainsack but a vintage linen tablecloth that looks like a grainsack. Well it is so easy to incorporate style with grainsacks. A note I want to make is that I use a common theme through my house and in my design. It unifies the house and becomes the basis of my style. I think that is a takeaway for today. If you like something, then try to find different ways to use it in different ways in different rooms. 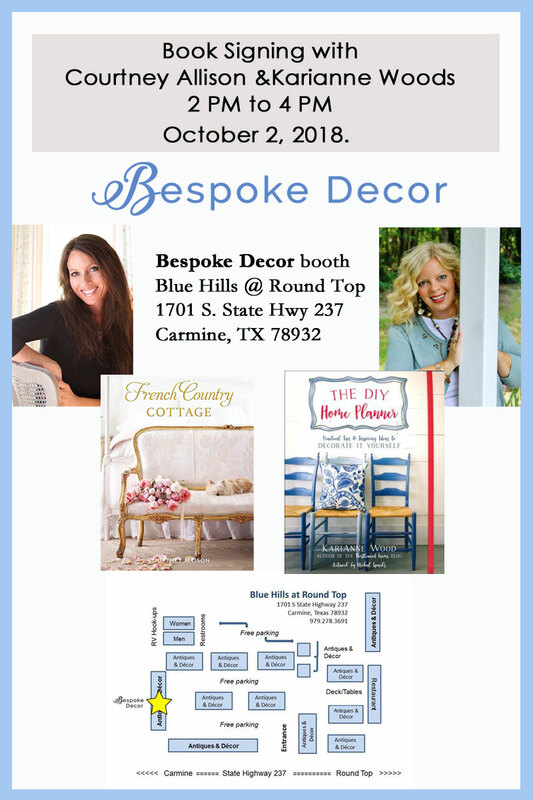 I also want to let you know that we’ll be in Round Top Fall 2018! And…. I’m bringing some of my friends with me! Everything looks great. 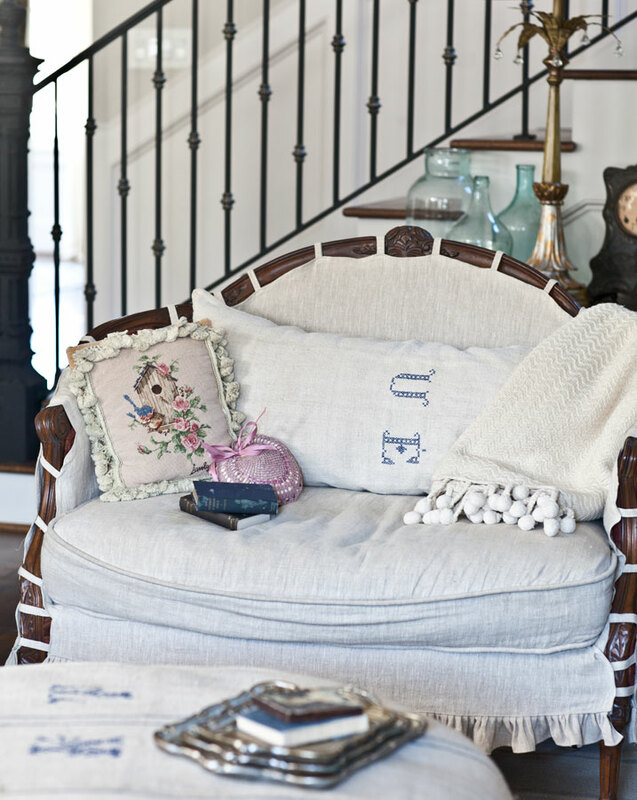 Love the grain sack look, but its nice to know to look for vintage linen as well. I love your grain sack pillows and all your furniture covered with grain sacks. Cute ideas! Looks great! I love your slip covers. I have been wanting to make slip covers for my chairs. 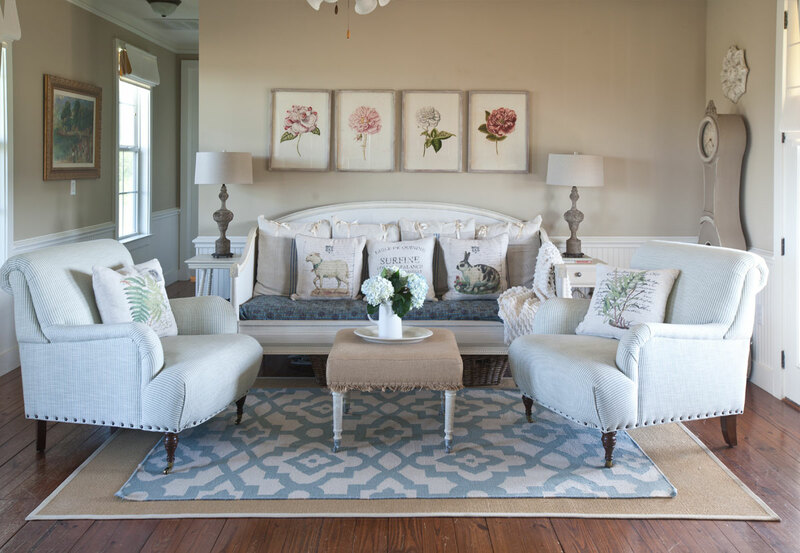 What fabric are the slip covers on the larger chairs? I love grainsacks! They add a homey feel however you use them. Have them in almost every room! 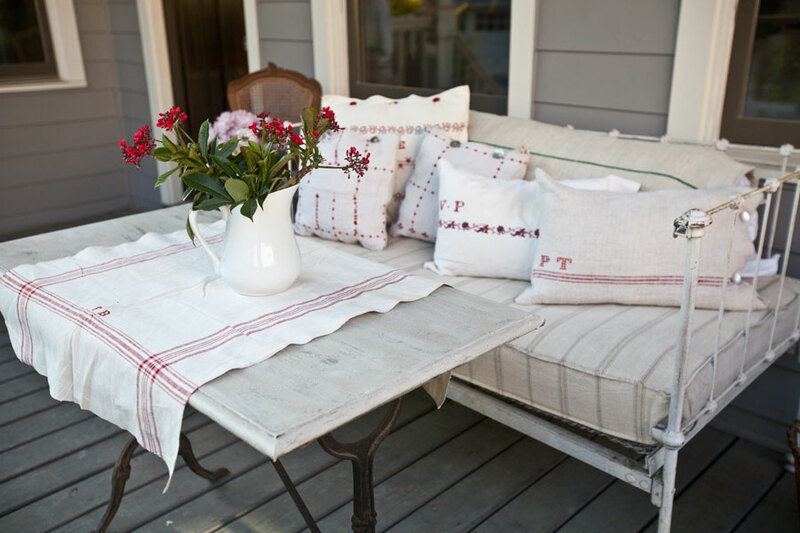 I noticed a pillow in the porch photo, grainsack with red PT embroidered on it. My initials!! Should you ever wish to let it go, I would be ecstatic!! I love the cover on the ottoman in the first pic! The design is so cool! What a beautiful home you have. Thank you for sharing on Merry Monday! Hope to see ya next week!